The feud between the Hatfields and McCoys is one of the most well-known blood rivalries between two families. 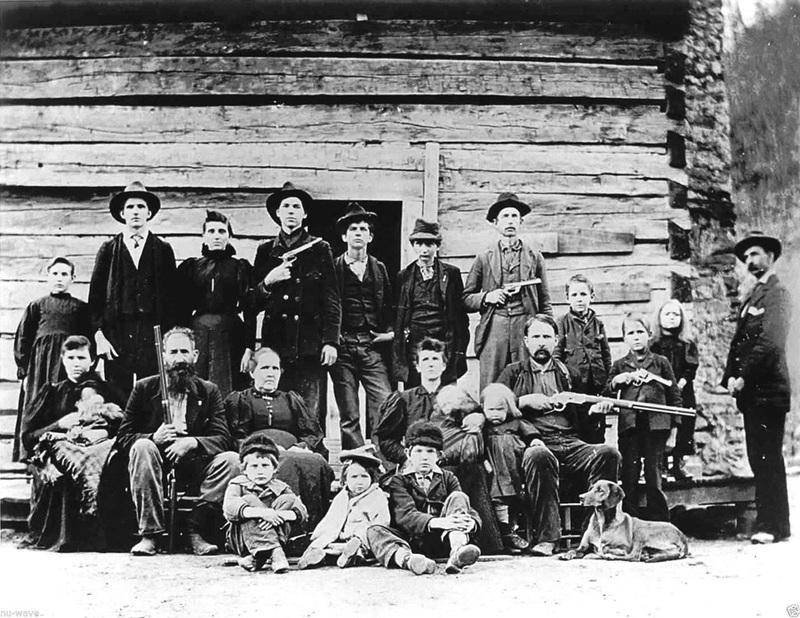 The Hatfields and McCoys would be just two families living opposite each other on the Tug Fork of the Big Sandy River with homes scattered up and down the small creeks in the valleys if it wasn’t for the feud. 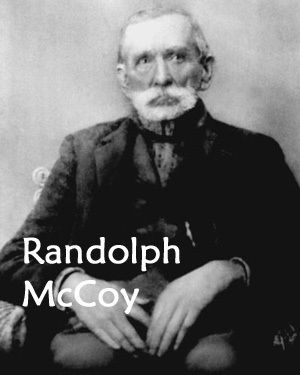 The Randolph McCoy family lived mostly on the Pike County, Kentucky side. The family owned a 300 acre farm and livestock, and dealt in illegal moonshine. Almost all the McCoys living in the area fought for the Confederacy in the Civil War, with one exception—Asa Harmon McCoy (1828-1865), who was a younger brother of Randolph and who fought for the Union. 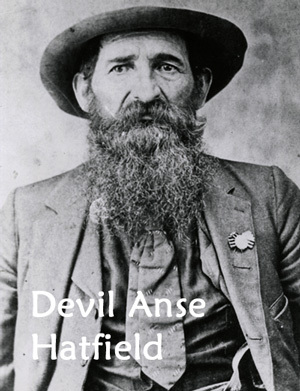 On the other side—the William Anderson "Devil Anse" Hatfield family was mainly from Mingo County, West Virginia. The Hatfields had a successful timbering business and employed more than a dozen men, made illegal moonshine on the side, and also fought on the Confederate side in the war. All was fine until 37 year-old Asa Harmon McCoy was mustered out of Company E, 45th Regiment of the Kentucky Infantry for the Union side with a broken leg on December 24th of 1864. He reenlisted, but was sent home on furlough to mend his wounds. 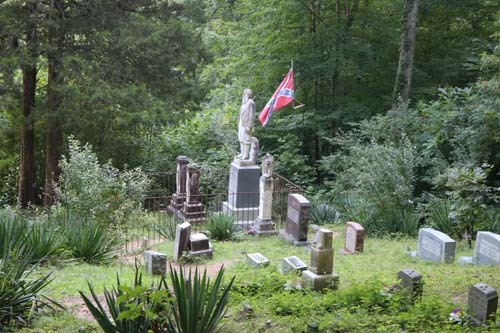 He came home to a chilly welcome from his southern sympathizing family and a warning from a group of Confederate Home Guards, called the Logan Wildcats, that told him they were going to pay him a visit. This particular company of about 85 militia men was created by Devil Anse Hatfield to help in patrolling and protecting the valley around the Tug Fork during the war. They did pay Asa McCoy a visit and ended up dragging him out of hiding and murdering him. And so, the feud would begin. Over the years, the killing would continue between the two – there was the Paw Paw Incident where Tolbert, Pharmer and Randolph McCoy Jr were captured and tied to pawpaw trees. The Hatfields fired over 50 shots into the McCoy men for killing Ellison Hatfield. The paw paw trees no longer remain. However, spirits might. The ghosts of the men are said to visit the section of land. Voices and mumbling have been heard. Oh, and there’s more ghosts. In Sarah Ann, just down the street, the ghosts of Devil Anse and his sons are said to still remain. They return on foggy nights—Devil Anse Hatfield and his sons rise from the graves. They make a quiet arch down the mountain and toward the small Island Creek at the bottom. When they reach the creek, William Garrett—the famous mountain preacher who spent his life riding his old mule up and down the mountains to visit the sick and to preach to those who would listen, arises and baptizes them, washing away all their sins. Then, they simply disappear. 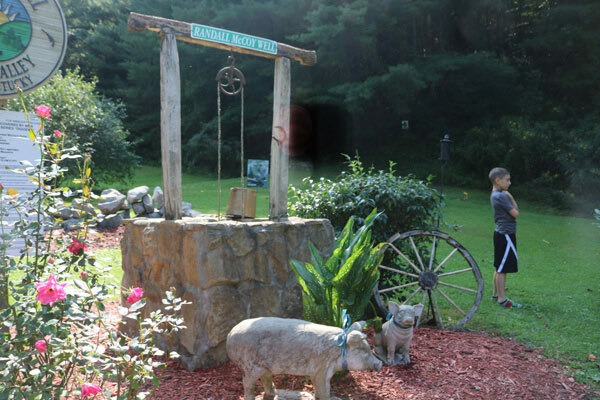 You can check out the ghosts of the Hatfields and McCoys in both West Virginia and Kentucky. Pike County, Kentucky Tourism has a driving map for it. 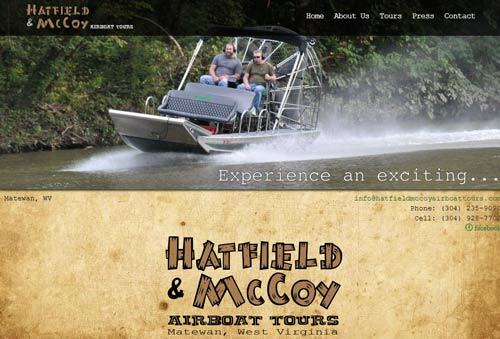 You can take an airboat ride down the Tug Fork in Matewan, West Virginia and get an earful of ghost stories about the feud and a few more from Keith Gibson with Hatfield McCoy Airboat Tours. Based out of the Matewan Depot, near the bridge in downtown Matewan, Keith offers rides on a regular basis Tuesdays through Saturdays, from 11 a.m. to 6 p.m where he talks about the Hatfield and McCoy feud and so much more. Tours also can be arranged by appointment on Sunday afternoons and Mondays. Groups of three or more are encouraged. 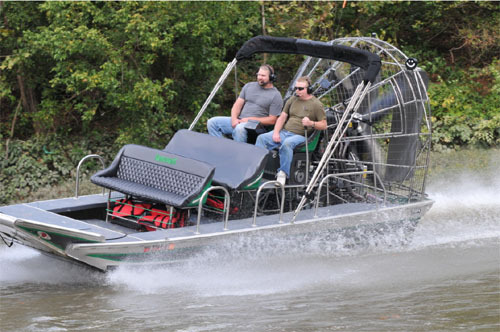 The boat carries a maximum of six passengers per tour. Tours range from 20 minutes to 80 minutes in length. During the tour you not only get to experience an exhilerating ride down the Tug River, but also be immeresed in the beauty of West Virgina's natural landscapes. 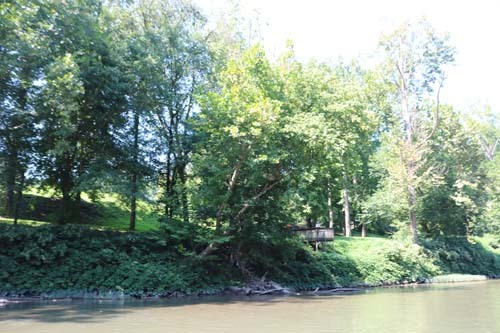 This region of southern West Virginia contains a very diverse eco-system of trees, birds, small game and other wildlife. Your tour guide on your Appalachian journey will be Keith Gibson. Keith has lived in the Matewan area nearly his entire life and has a vast knowledge of the area and it's rich history. Whether you have questions about fuedin', moonshinin' or coal minin'; Keith knows the myths, legends and the 'what actually happened' behind it all! He can even throw in a few ghost stories! For reservations and more information, fill out the form on their contact page or give them a call at (304) 928-7702. Also feel free to connect via Facebook page. And right next door at the Depot Museum, they’ve got ghost and historic walks through downtown with Joe Vagott—resident story-teller. During the early 1900s, the railroad depot served passenger and freight trains for a population of nearly 7,000. After N&W-made its last stop in 1969, the once proud depot was closed. 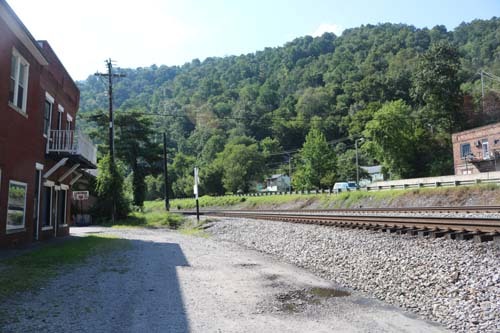 In the year 2000 an project to rebuild the historic Matewan railroad depot started. 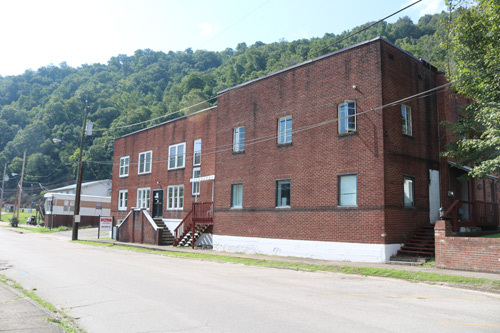 The Depot is now a welcoming visitor’s center for the town of Matewan and a museum that includes information on the vast history of the area. Which includes the Hatfield and McCoy feuds, the Matewan Massacre, and the development of the coal mining in the region. It has also become a gift shop which offers arts & crafts, t-shirts, historical books, and Hatfield & McCoy Trail memorabilia. Click here for a cool driving map of the Hatfields and McCoy's, check out Pike County Tourism. The feud came to a head on New Year’s night of 1888. The Hatfields ambushed the Randolph McCoy home and lit it on fire to flush the family out. A two hour battle ensued. Randolph escaped into the woods with his toddler grandson. 26 year-old Calvin, Randolph’s son, was shot and killed. 30 year-old Alifair McCoy, crippled by polio, was trying to get water from a pump to extinguish the fire. She was unarmed, but shot dead. Her mother, running to the woman’s side, was beaten so badly, her skull was crushed. On the ghostly side, I got this picture at the site where the home once stood. Look across from my son and you can see a ghostly image of what appears to be a woman in 1800s fashion complete with bonnet looking like she is holding a book, perhaps? 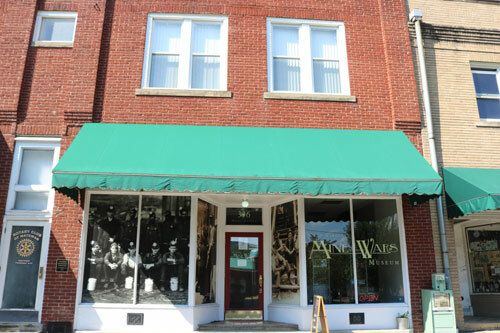 Click here for the West Virginia Mine Wars Museum. 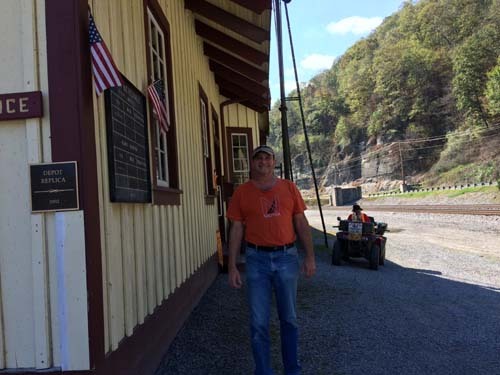 It's not haunted, but gives the history behind the area--the West Virginia Mine Wars Museum opened in May 2015 to preserve and share the rich and colorful history of the local communities. It highlights the Battle of Matewan and the following labor uprising that would come to be known as the Battle of Blair Mountain – the largest labor uprising ever in the United States. These two events may have grabbed attention nationwide, but the museum features other remarkable pieces of lesser-known history attributed to the region. The Battle of Matewan/Matewan Massacre was a shootout in Matewan in the Pocahontas Coalfield mining district on May 19, 1920 between local coal miners and the Baldwin–Felts Detective Agency. 12 Baldwin-Felts Agency guards came from Bluefield to evict miners from company houses for joining the union. As the guards left town, they argued with police chief Sid Hatfield and Mayor Testerman. Seven Baldwin-Felts Detectives were killed, including brothers Albert and Lee Felts. The mayor and two miners were killed: Bob Mullins, who had just been fired for joining the union, and Tot Tinsley, an unarmed bystander. This building was used as a hospital/clinic. Shadow people have been seen on the steps.